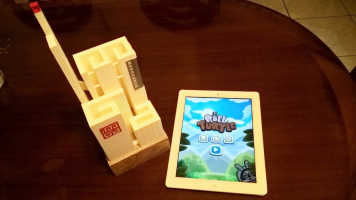 The winner of the Best Quickplay Game Award at the first IMGA China event on January 12th, Roll Turtle is an action-driven puzzle platformer that takes you on an exciting journey to help Daddy Turtle to save his baby across five incredible worlds. We spoke with Kira Fu, the independent developer responsible for Roll Turtle, to learn more about his game. Could you tell us more about your team and your working style? My wife doesn’t know about programming or drawing, but she’s trying to help in other places. As a family, we push Roll Turtle forward. We adventure together, travel together, laugh together, cry together. We setup the monitor together, carry laptop in the rain, we pulled luggage, stroller, and equipment in the sun, we participated in Causal Connect Asia 2015, Tokyo Game Show 2015, Taipei Game Show 2016, etc. We’ve been through all of this together. Roll Turtle filled me, my wife, and baby with love and memories over the past two years. Thanks to God, these memories will be my life’s most precious treasures. Roll Turtle is another one of my babies. 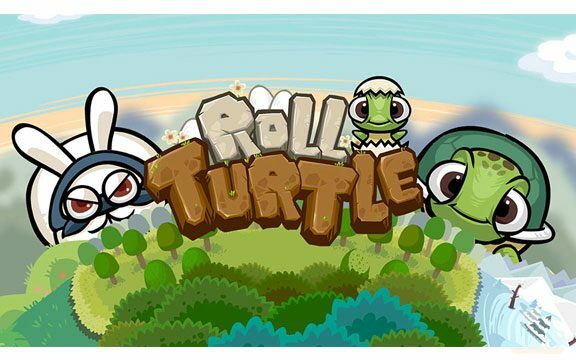 What inspired you to develop Roll Turtle? I have been a full time indie developer since 2014. I quit my regular job to create Roll Turtle. At that time my son was born; he gave me the courage and inspiration to create something for him. I saw him (my baby, at that time less than a year old) start to learn to roll on the floor to move, which gave me an idea to create Roll Turtle. The game’s core play came from this, and the game’s story is Daddy Turtle to save the Baby Turtle. This is our image: father and child. Over the past two years, since becoming self-employed, I have received no income and have been living off my life savings. I have a home mortgage, a baby, and a family to take care of. It’s a big risk, and a difficult journey. But when my baby grows up in five or ten years, I hope that his favorite games are the ones made by his father. (Well, at least one of his favorite games is made by me). “This game is funny? This game was created by your father when you were two years old!” I want to tell him this story, and see him raise his head and eyes to his father; I want to him proud of his father. I’m sure that if I continued to stay with my regular job, this would never have happened. Things might have been safer and more secure, but you won’t know what you can accomplish unless you give it a shot. If you want something, you must do something about it. What are you planning for the near future? My child is nearly three years old, and now energetic. He always wants me to play with him. I can’t work as before at home; even one hour of work time is extravagant. We intend to move this year, choose a good school — for me, this is conducive to focusing on independent game development. When these family events are completed, I can focus on the new project. My wife will return to the workplace, my child will go to kindergarten – so for now we’ll enjoy this family time together, because soon I will be the only one to continue indie games journey. About a new project, I’d like to create games with RPG elements. 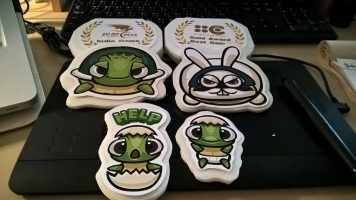 How do you feel about winning the IMGA China Best Quickplay Game? Roll Turtle received many awards, but these were just in Taiwan (where I live). To receive the IMGA China Best Quickplay Game Award is a great honor. This was our first time in the international arena. I hope that after the launch, Roll Turtle can earn enough money to support the development the next game. This is the hope of most indie developers, to use funds from the previous game to support the next game. However, I understand that achieving this is out of my control, even after doing all that I can do to make Roll Turtle great. Promotion of the game has been difficult. Especially as an indie game, if there’s no exposure, no one will know — even if the game is fun. I am excited and looking forward to the exposure that results from Roll Turtle’s IMGA win. This is a great opportunity for players around the world to know about this interesting game. This game is my life’s most precious treasure. Thank you very much all the judges and friends who like this game. It’s a great honor to receive this award.